How to paint pig monster. 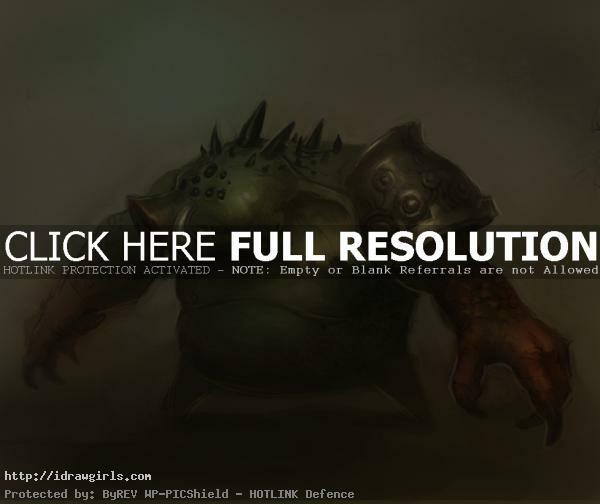 Learn to color and paint pig monster from video tutorial and step by step images with instruction. In this tutorial, you will learn how to paint and color the pig monster easy way. This is a continuation of a previous drawing tutorial how to draw pig monster demon. The video demonstrates how to quickly create an efficient concept design from concept idea into visual. Quick and easy instruction from drawing face and body of Pig Demon concept design and illustration. This is one of the easier painting tutorial you could find in this blog. So watch the video carefully. Though the audio is a little quiet because it is really old from 2007. But it still can provide you with a lot of solid painting and art tips. Final color version of pig monster. Watch part one of video tutorial, how to paint pig monster. 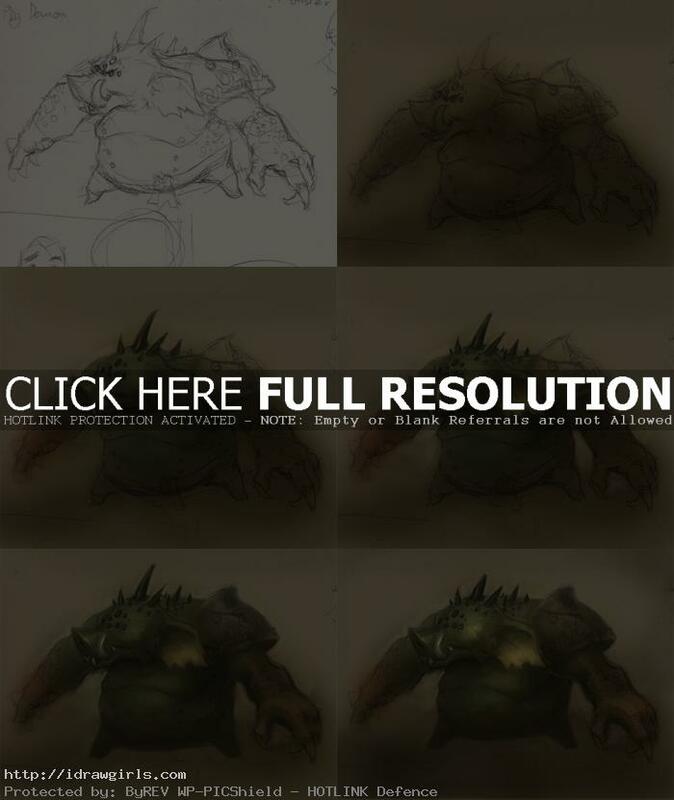 Below are step by step images how to paint pig monster. Step one is a drawing from previous tutorial. Step two, I color sepia tone over the whole image then painted some darker shadow onto the pig. Step three, I then add green color on its body and red around forearms to hands. I also paint basic shadow on its head with multiple eyes and black horns. Step four, I add some lighting onto the upper part of the body, including head and its big ear. Step five, I paint his belly with lighter color to bring out the form. Step six, I add more lighter value to the image to bring out the overall form of the figure. Watch the video tutorial for more in dept detail instruction.